Skylab Apps was founded in 2015 by Dean Grey. He has the vision of growing a global company motivated by the idea that people would adopt the technology built by his company. Skylab Apps makes a white label community building platform that allows the app owner to track, train, grow and monetize their user, customer, clients, followers or fans. What if you could increase your growth rate? What if you could finally start to optimize your processes? Growth is the answer to these questions. This article is about to give you a few principles to help guide you in your quest for growth. It is a guide that we have lived by here at Skylab Apps, always testing, poking around and is customer/client-centric. 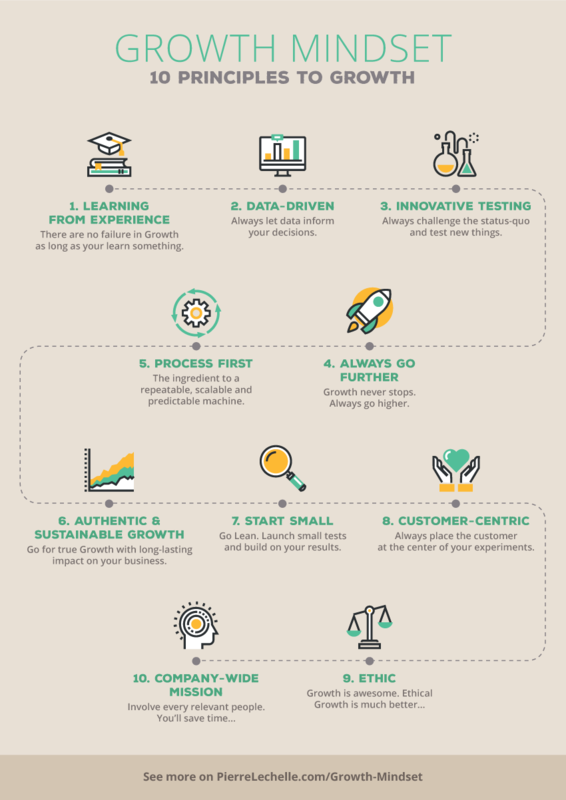 Growth is all about testing hypothesis. “Testing hypothesis” means running a battery of tests to see what works and what doesn’t. We test a hypothesis because we believe that no one else has the answer to our questions. What may work in another business, will not necessarily work with yours. When Dean Grey, Founder of Skylab Apps started Zooplr, his vision was to build a state of the art mobile platform that would allow companies and brands to engage, track and train all of the community members. After successfully exiting Zooplr and Tags, he continued on with the same vision to build Skylab Apps. Except for this time, he was going to take it all the way home. When you test something, you can either validate or invalidate your hypothesis. Most people see this through a success/failure lens. There is no such thing as a failure in growth because you want to learn. Success happens when you learn, failure when you don’t. It’s that simple. If your experiment failed and you’ve gained a ton of new insights, that’s a success. Learning allows you to make better-educated guesses and to launch even more successful experiments. Don’t expect to have a lot of success at the beginning but the more you understand your product & customers, the more successful your tests will become. In the case of Skylab Apps, learning from experience didn’t necessarily mean failure. In fact, as mentioned before, exiting the two prior companies successfully set Dean up on the correct path to launch Skylab Apps with all of the experience and data from his two prior companies. Running a digital business enables you to measure every step of the way. You can easily track what everyone is doing on your app.You know more about your consumers than anyone else in the business. Use these insights! The people with the best growth use it to their advantage. You need to use data in every decision you make. When we speak about data, most people think about analytics tools such as Google Analytics or KISSmetrics. Never forget about other valuable sources of insight that you have available. Make sure that you invest into your Analytics stack early on to avoid learning about the wrong things… (Invalidating the wrong hypothesis will have disastrous impact on your business). Growth is all about testing innovative and creative ideas. Don’t limit yourself to what your competitors are doing, you have the freedom to do whatever you want. Be innovative and challenge the status-quo. It’s not because you always had a 3-step signup process that it is necessarily the best process. Launching experiments in only one part of the story. The process is what actually makes everything possible. If you want to launch several tests per week, you’ll need to launch “Minimum Viable Tests”. In other words: What’s the minimum amount of work that you can do to test a hypothesis? You need to understand that growth is an iterative process. Starting small will allow you to build up on your success (or lack thereof). If you launch a small test and it fails, you’ll have a greater “Time to Learning” than if you redesigned your entire onboarding. Starting small may be counter intuitive. But it’s the only way that you can create a positive impact on your business. This is a team sport and everyone should be involved. Everyone should be able to contribute their own ideas to your backlog. Relevant people should also be able to get involved in discussions on specific ideas. Are you designing a new onboarding flow? Talk to the person who designed the last one. If you don’t involve people within your company, you’ll get into political issues and they’ll slow down your efforts. Involving them can only be a good thing. The worse that can happen is that they’ll share valuable insights and help you launch better experiments. for success by creating customer-centric, ethical and long-lasting growth. Check out Skylab’s client’s websites & apps. They’ve trusted us for growth.